The biggest disadvantage to storm windows is that they must be taken down and put back up. A storm window is placed over existing windows to help protect against hurricanes and storm debri. They must be taken down and put back up seasonally. Winding up with broken or damaged windows. Finding a place to store them when they’re not in use. How do you get to a second story to take them down or put them up? Disturbing landscaping while installing or removing storm windows. They are not aesthetically pleasing to the look of your home. They are not Energy Efficient no matter how well the fit. Every time a hurricane is about to make landfall somewhere along the Gulf coast, we see stories on the news of homeowners nailing plywood over their windows or scrambling to put up their storm windows to protect them. There are other methods and technically advanced products that homeowners in hurricane prone areas could utilize to protect the windows of their homes. For example Simtonton StormBreaker Plus® Windows. Another recommended product would be our PGT Winguard® Vinyl Double Hung Windows products that can withstand repeated impact from a nine-pound 2’ by 4’ beam traveling at 34 miles per hour, followed by hurricane-force winds. Even if the glass is damaged, it remains securely in its frame, keeping the elements outside. Consider Impact windows as a great alternative. Today’s impact-resistant glass sandwiches a laminated inner layer made of polyvinyl butyral, a plastic, between two sheets of glass. 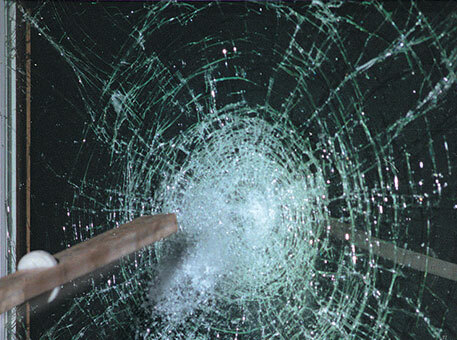 Stronger than a car windshield, the glass might shatter if a heavy object crashes into it, but it won’t break to bits. That makes wind less likely to penetrate the envelope of a home and create interior pressure severe enough to blow its roof off. With almost 20 years of experience in the industry, our team at Karoly Windows & Doors has the knowledge and expertise necessary to provide you with the highest quality products at the lowest possible price. We strive to do business the right way, with customer satisfaction as our number one priority, and the belief that integrity begins and ends with upholding our commitments. Website property of Karoly Windows & Doors. All rights reserved. Serving the Greater Tampa Bay Area, including St. Petersburg, St. Pete Beach, Largo, Seminole, Dunedin, Palm Harbor, Tarpon Springs, New Port Richey, Clearwater, Bradenton, Lakeland, Wesley Chapel, Brandon, Riverview, Apollo Beach, Ruskin, Sun City Center, Temple Terrace, and Carrollwood, FL.